And the Nexus 5 rumors are here! Over the weekend, a couple of tech outlets tossed out what they believe to be specs for the next Google-inspired mobile device as provided by well-placed insiders (or trolls). Rumors suggest that LG will produce the phone, just as they did the Nexus 4 with the image included above being a prototype design for it. But after this incredibly questionable rumor surfaced, another report claims that this is nothing more than a fantasy list and that the actual device will be much more in line with current handsets, but the camera will use a “triple camera sensor thing.” I’m not kidding, that’s the official quote. Let’s jump below and walk through a breakdown of the situation. Spoiler alert – it all mostly sounds like garbage. So that list came from rumor #1, which as you can see, looks most definitely like some sort of fantasy device. Sure, we would love to see everything listed there in the next Nexus, but we also would love to win the lottery and don’t see that happening any time soon. As far as rumor #2 goes, the claim is that the next Nexus will actually have a Snapdragon 600, 2GB RAM, 8/16GB of internal storage, and big ol’ 3140mAh battery. But where this becomes somewhat interesting, is in the idea that Nikon will produce the “triple camera sensor thing” inside. As you may recall, Vic Gundotra said a month ago that they are committed to making Nexus phones great cameras. I guess partnering with Nikon would certainly be a way to do that. Last, moments before rumor #1 surfaced, the oft-correct @evleaks Twitter account Tweeted “LG Nexus 5 looks pretty hot, if that was just it…” So we don’t know if an internet troll was shopping around the “prototype” image from the top of this post and @evleaks was mocking it after denying it, or if the timing was simply a coincidence. No matter what, it’s way too damn early to start tossing out random rumors from untrusted and anonymous sources when it relates to the next Nexus. 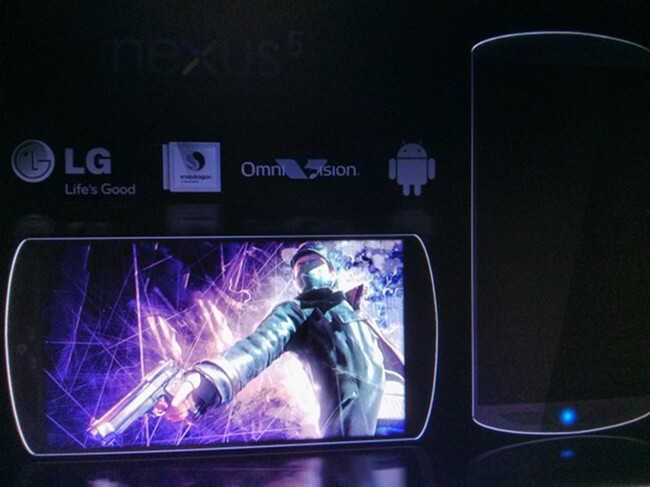 Will we see a new Nexus this year? More than likely. Do we think any of this makes much sense or should be taken as gospel? Not for a second.